equipment, expertise and the technique. All you need is the desire to ride WAVES! you through your surfing lessons and overall surfing progression. You'll be standing by end of your first lesson. 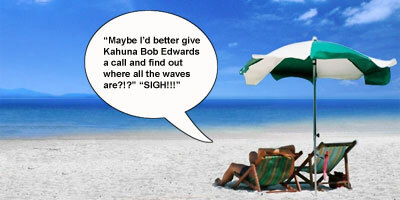 Aloha and welcome to our 31st year at KAHUNA BOB'S SURF SCHOOL. Once again, we are looking forward to teaching the greatest sport on Earth, SURFING. Whether you are a young up and comer or a beginner we have just the program and solution for you. Our summer camps begin the week of JUNE 11-15TH! We are still the exclusive school at BEACONS BEACH in Leucadia/Encinitas California. Our camps run Monday thru Friday from 9am till noon each day with the only exception being July 4th when the city does not allow us to operate. If you book a semi private lesson during these times you not only get a fantastic 2-hour lesson, but you are free to stick around for the third hour to practice with our equipment offered for FREE. If you feel you have outgrown the standard 'learn how to get up' lessons and have your own equipment, now you may want to hit us up for our one-hour PRIVATE LESSONS. 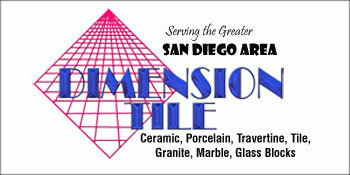 We will analyze your technique and equipment. There may be something right there that can help you evolve into the surfer you want to be. 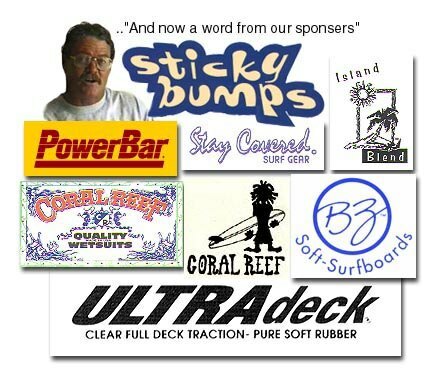 Whether it is your bottom turns, cutbacks, nose-rides or just catching the waves, we can help you! It may be the best forty 'surfing' dollars you'll ever spend. We can help you evolve into loving our most vital natural resource, which is FREE, the BEACH. Surfing will help you become healthier and happier, guaranteed. Scientifically proven to increase life's expectancy and allowing you to live happier and healthier, SURFING is the option for you. Surfing will also increase your stamina, endorphins will be released and positivity of the mind and soul will prevail. You will also witness the exceptional beauty of the marine life and realize how beautiful sea creatures really are. Surfing also gives you an alternative to going to the same old gym, doing the same old workouts and seeing the same people. Surfing helps keep the body in shape naturally without the fear of injury. Surfing works out the entire body with the main focus on your core which is the goal of any workout really. Whether you surf in the early mornings to start off your day or if you go during the evening sunset after a hard day’s work, surfing will bring back the joy and excitement that we all miss from our childhood. As we get older it becomes harder to feel that sense of 'losing track of time' because of all the fun we are having. In surfing you will get that feeling and more! You will get that feeling back and it will take control of your mind, like a drug. Surfing is the most addicting, non-pharmaceutical, non-GMO drug on the market! We are open year round and offer lessons daily. We are looking forward to teaching YOU the sport of a lifetime. Call now, what are you waiting for? check out the new Kahuna Bob "EZ STYX". A couple of sites we would like you to visit and check out. degree tour of a surf class.